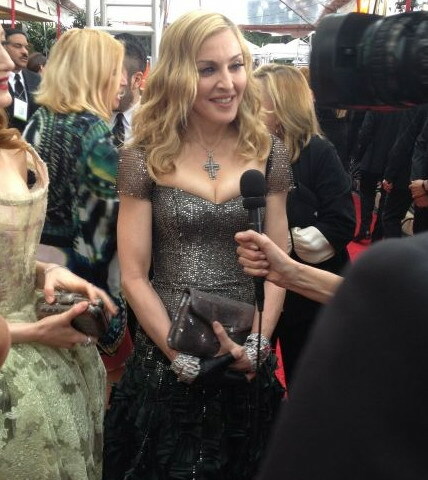 Madonna graced the red carpet at the Golden Globes in LA today for the first time in 14 years. 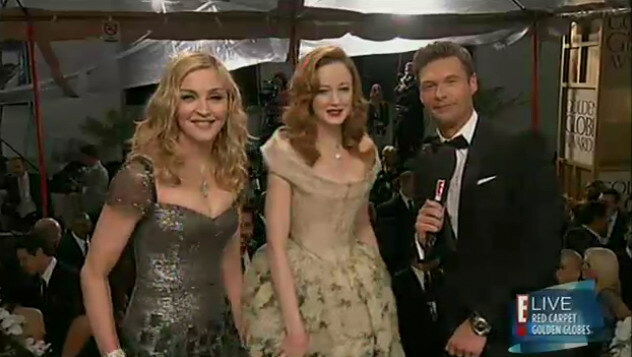 She stepped out in a Reem Acra gown with actress Andrea Riseborough by her side. Her film W.E. is nominated for best original score and best original song. 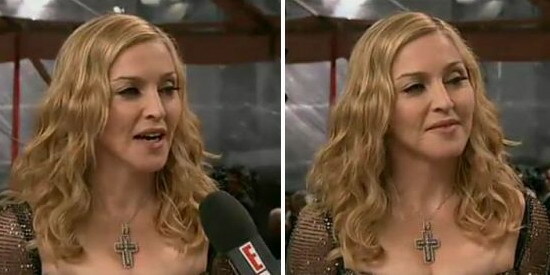 Madonna’s also been selected to present the award for best foreign language film, which could go to Angelina Jolie’s In the Land of Blood and Honey. 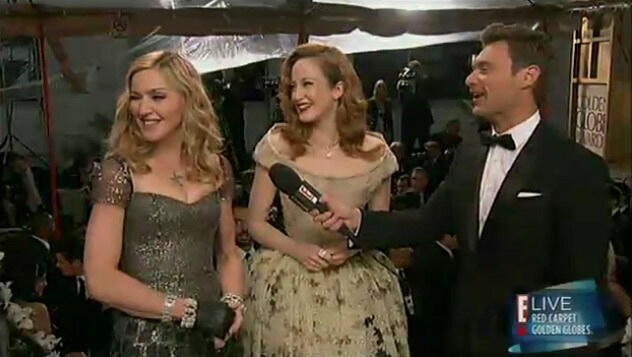 She talked to Carson Daly and later to Ryan Seacrest about Masterpiece and her movie W./E.